RiffelCarstens – two of my favourite Chefs get together…. 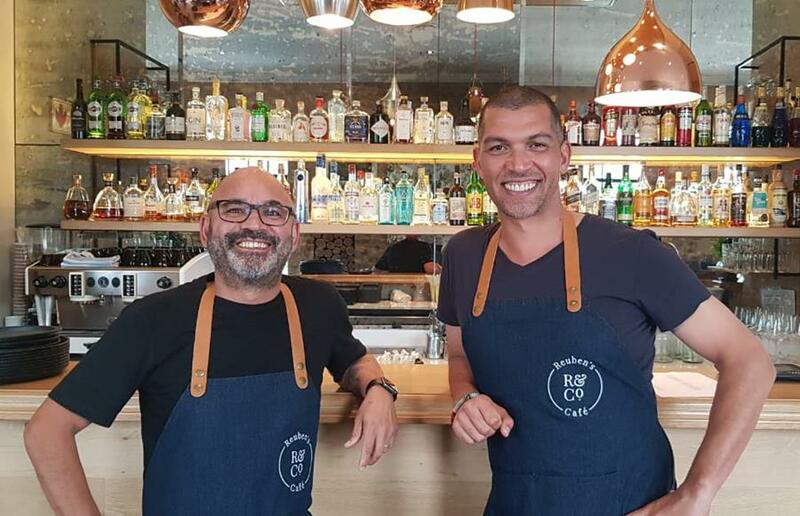 Richard Carstens & Reuben Riffel, RiffelCarstens – can you see the naughty? Richard and Reuben have always worked well together. They both share a passion for the culinary arts, are both obsessed with flavours, both hunger for knowledge and both pursuit excellence in all that they do. Having once worked in the same kitchen they each went on to become award-winning chefs in their own right. As colleagues and friends their relationship has always been based on mutual respect, affection and an unwavering support for one another. Now we have RiffelCarstens. And now, they are business partners as well. Their company RiffelCarstens (a completely separate entity from any of the Reuben’s restaurants) offers the perfect combination of all the experience these two have garnered over the years with regard to the restaurant industry, whether it be fine dining, bistro fare or casual eating. Together they consult, curate and create businesses and bespoke events, whether it be intimate lunches or large scale lavish dinners. It is a business born of the fact that they have, both, over the years, been inundated with requests to consult for various establishments. RiffelCarstens is now perfectly positioned to do just this. Both Reuben and Richard also believe that while the hospitality industry employs a great many people, there is still a significant shortage of skilled, well-trained kitchen staff. Their aim is to work with establishments to train staff and work within the framework of their own needs. Reuben has always admired Richard’s ability to train and upskill those that find themselves in his kitchen. He is an unselfish teacher who gladly shares his knowledge. As accomplished chefs and consummate restaurant professionals Reuben Riffel and Richard Carstens have, between them, a wealth of experience, knowledge and creative energy. RiffelCarstens is the consultancy born from their creative energy and passion for the industry they both love.